To celebrate this day, I pulled out the quilt I started some months ago. This quilt tells the story of my grandson’s first 5 years. He proudly tells you that he is 4 1/2 and that he will be 5 soon. I had put the quilt aside because I needed to think some more on what to do. 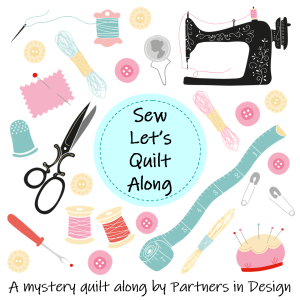 This is a design on-the-go type project, so there are issues that come up that wouldn’t necessarily come up with a well-planned quilt. I showed what I had to my grandson and started sharing some of the stories. He asked me to add dinosaurs and space, so that is what I will work on next. I also need to zig-zag stitch the appliques I made. This requires more thread. More fabric is also needed, so I think I will celebrate part of this Quilt Day shopping at a quilt store. There is a quilt store near one of my Meemaw friend’s house, so I’ll stop there first. The Meemaws are making and decorating cookies today. I have been studying the quilt so far. I might change the top strip. I need to coordinate the fabric that will be used for sashing. I thought I liked the denim, but now, I am thinking it looks rather drab. This is why I put it away…I am sort of stuck. There is one more long strip with his last name that will go under the last last three blocks pictured. Then, I have about four more blocks to make to place under the last name. What better way to celebrate National Quilt Day than to be working on a quilt? Your quilt is great! And I love the fact that Judah is adding his own ideas! I do like the denim … if you quilt it with a variegated thread or a light thread – it won’t be so “drab”. Plus – it makes the other blocks pop. Happy Quilting 🙂 ! Thank you for your suggestions and support! Thanks. I found some great fabric that will add to the scrappy look. Dinos and space are a must. Today, I found him a shirt that had dinosaurs in space…I had to get it. I thought it was time to get back to it. I plant to add some more color strips because I agree it needs more color. Now I need to draw a dinosaur 🦖. I also want to add a snail. Thank you, Cindy. I had to set it aside for a bit so I can finish these rope products.